After the Toronto Maple Leafs finally were able to sign William Nylander, it created a roster crunch for their NHL group. One forward needed to be sent out, and with no obvious waiver-exempt options the front office turned to the trade market to see if they could get a deal. A deal they did get, by sending Josh Leivo to the Vancouver Canucks in exchange for Michael Carcone. 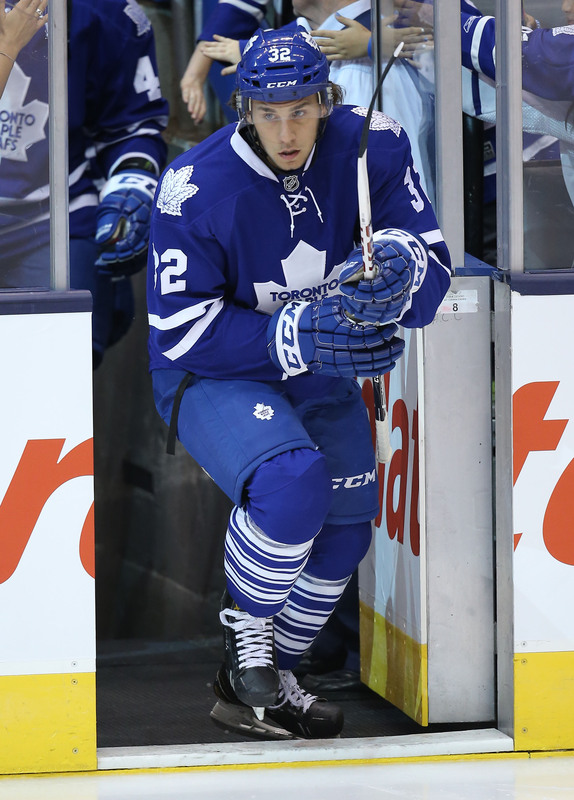 For Leivo, even though a trade takes him away from the powerful Maple Leafs and to a new, unfamiliar organization, it is probably a welcome result. The 25-year old forward has been battling for years to try and make an impact on Mike Babcock and the Maple Leafs coaching staffs, only to find himself in the press box more than on the ice. Originally selected 86th overall in 2011, Leivo has played just 84 NHL games to this point in his career, spending more than that as a healthy scratch throughout the years. The last time he even had any substantial time in the minor leagues was 2015-16, when he was nearly a point-per-game player for the Toronto Marlies. In the NHL, Leivo has produced 28 points in those 84 games and too rarely shown that he has the versatility to contribute in a bottom-six role. That’s all he was going to get in Toronto given their other young forward talent, but he never really grew into the type of player that Babcock wanted on his fourth line. Instead, his ice time was extremely limited even when he did get into the lineup, although he was given time on the second powerplay this season. Vancouver will likely attempt to coax every bit of offensive potential out of Leivo, using his big body and hard, powerful shot to create a mismatch alongside some of their smaller forwards. If they can get any production out of him the deal will be a win for them, given that they only sacrificed an undrafted minor league forward. Toronto was in a tough spot and was likely heading for a situation where they would lose Leivo or someone else to waivers anyway, so they accepted Carcone to at least get something in return. The 22-year old had a great season in his final year of junior with the Drummondville Voltigeurs, but has had middling results in the AHL so far. That changed early this season with 17 points in his first 20 games, but there is still a long road ahead of the undersized forward if he’s ever to make the NHL. Just three games grace the NHL schedule this evening, while the Board of Governors meet to discuss the future of the league. The best matchup may just be the upstart Buffalo Sabres taking on the powerhouse Nashville Predators, in a game that could have implications in each team’s respective division. The Sabres have lost control of the Atlantic after holding top spot for a moment, while the Predators are now tied with the Avalanche atop the Central. While the rest of the league licks their wounds and determines how to approach the upcoming week, we’ll have all the minor moves right here. Speaking of the Predators, the team has sent Anthony Richard back to the minor leagues after he made his debut on the weekend. Nick Bonino is expected to be put back in the lineup after his recent illness, leaving no room for the young Richard to contribute. The Toronto Maple Leafs have sent Travis Dermott to the AHL in a paper transaction in order to make room for William Nylander, but was recalled again immediately after the Josh Leivo trade. Dermott has established himself as a full-time member of the Maple Leafs’ blue line, and is a big part of what they’re trying to build in Toronto. Jakob Forsbacka Karlsson is on his way back to the Boston Bruins after having been down for only a day himself, and could be back in the lineup tomorrow night. The young Bruins’ forward has split his time this season between Boston and Providence, but is still trying to become the offensive difference-maker that he showed he could be in college. The Arizona Coyotes have recalled forward Conor Garland from the minor leagues after Michael Grabner was moved to injured reserve. Garland has yet to suit up in an NHL game but has a long history of offensive production. An MVP of the QMJHL, the fifth-round pick scored 129 and 128 points in back to back seasons for the Moncton Wildcats. Ilya Kovalchuk has been officially moved to injured reserve with his ankle injury, and will be out for at least a month. The Kings will hope recently added forwards like Brendan Leipsic and Nikita Scherbak can help carry the offensive load while Kovalchuk recovers. The Tampa Bay Lightning have swapped backup goaltenders once again, recalling Eddie Pasquale and sending Connor Ingram back to the minor leagues. The team will likely continue this type of swap in order to keep their netminders fresh and ready for game action. Pasquale got into a pair of games for the Syracuse Crunch over the last few days. Jakob Forsbacka Karlsson is on his way back to the Providence Bruins, sent down to the AHL by Boston. The 22-year old forward has played in nine games for both Boston and Providence this year, but will have to continue his season in the minor leagues. The Toronto Maple Leafs have made a paper transaction by sending defenseman Travis Dermott to the Toronto Marlies of the AHL to make space on the NHL roster for William Nylander, according to Sportsnet’s Chris Johnston. Dermott, who is not required to pass through waivers to free up a roster spot, is expected to return before Tuesday’s game against Buffalo. It’s hard to get through a day of hockey radio right now without hearing multiple takes on the ongoing negotiations between William Nylander and the Toronto Maple Leafs, but with just over 48 hours left before the December 1st deadline, there should be a conclusion of some sort very soon. The last unsigned restricted free agent must be under contract with an NHL team before 4pm on Saturday or will be forced to sit out the entire season, something that neither side can possibly hope for at this point. Still, there has been little reported about an impending deal between the two sides since Chris Johnston of Sportsnet told viewers of Hockey Night In Canada that they were “believed to be rather close” to a deal that could pay Nylander around $6.9MM on a long-term deal. Today, with nothing bubbling up about an imminent contract, Pierre LeBrun of The Athletic reported that Toronto has circled back with interested teams and instructed them to submit a sort of final trade offer. That due diligence is required in a situation like this, in which Toronto could be left holding a valuable asset as the clock strikes a figurative midnight on Saturday. It certainly doesn’t mean that Nylander will be traded in the next two days, but does perhaps lend credence to the idea that there will be a conclusion one way or the other. For his part, Elliotte Friedman of Sportsnet believes that whether or not a trade or contract happens in the next few days, Nylander will not play for the Maple Leafs after the 2017-18 season, instead being traded by the draft even if he is under contract. It is important to remember that Nylander cannot be given a no-trade clause in negotiations until his free agent years, which would prevent him from forcing the Maple Leafs into corner over the next few months. Regardless of the length of the contract signed, the team could decide to move on from him at any point over the next several years. We think Willy’s going to be here and we think Willy’s going to be here a long time. We think Willy’s going to be a career Leaf. According to Kristen Shilton of TSN, Babcock told people looking from the outside of the negotiations to not “confuse opinion with fact,” once again reminding many that there is little known about the actual inner workings of the dialogue. The Maple Leafs have never publicly shamed Nylander for his current position, and in fact he’s gotten quite a bit of support from his teammates over the first quarter of the season. The team obviously wants him back playing, but at this point nothing is certain. Poll: How Will The William Nylander Saga End? 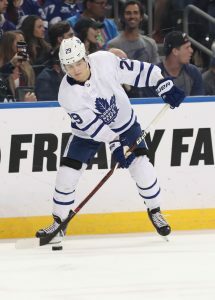 Toronto Maple Leafs fans were abuzz this morning as reports seemingly came out of every corner of the hockey world concerning William Nylander’s imminent signing. There were those who had apparently spoken directly to Maple Leafs GM Kyle Dubas, and others who just put out unconfirmed rumors that they’d heard. Venerable insider Bob McKenzie of TSN quickly threw some cold water—perhaps a whole ocean’s worth—on those rumors, explaining that nothing in fact was imminent though negotiations continue between the two sides. I’m confident, hopeful. I mean Willy loves hockey. I know Willy good—he’s a great teammate and good person—and he loves hockey. He wants to play that. But if there is still work to be done on a long-term contract, time is running out quickly. McKenzie suggests that there are two prevailing options, either signing a three-year bridge deal near $5MM per season, or a six-year deal near $7MM. Those are the kinds of numbers that have been speculated on over and over for the past few months, with no real information leaking out of either side. It seems no one really knows where the Maple Leafs and Nylander stand in negotiations, and in fact there are two (or even three) other options that the team could decide to use. One is to trade Nylander in the next few days, though as it gets closer to the deadline that seems even more unlikely. The acquiring team would need to hammer out a contract of their own with the RFA, and as CapFriendly has explained it would likely come with an increased cap hit this season. That’s a tough thing for most teams to fit in right now, and they would be under a time crunch of their own. Still, if the Maple Leafs want to cash in on their asset for this season that might be the best way to do it if they can’t get a deal done. The other option would be to stand their ground and just let the December 1st deadline to come and go. Nylander would be ineligible to play this season but he would gain little leverage in any negotiation for the future, and the Maple Leafs could potentially flip him at a later date. A non-playoff team might want to get him into their system even if he can’t play this season, and work under no deadlines to get him under contract. It’s still not clear at all what will happen in Toronto, but as the Maple Leafs prepare to face the Columbus Blue Jackets this evening we ask you what you think. 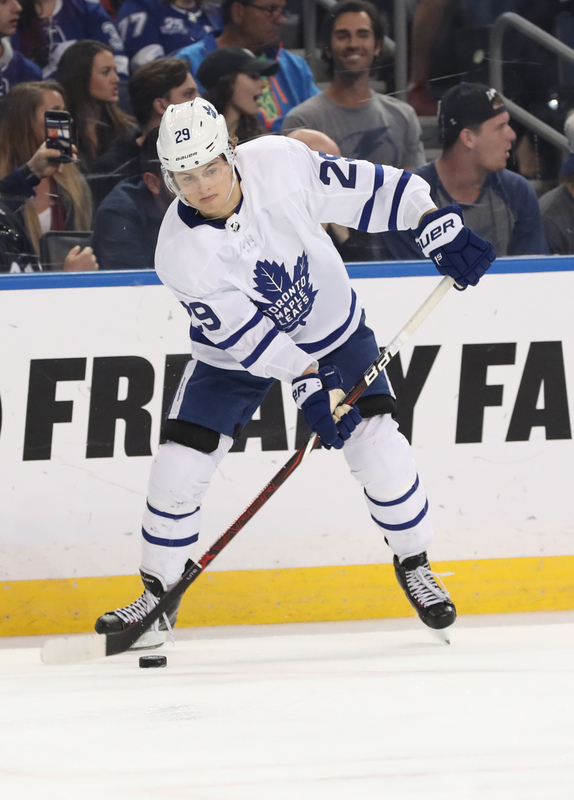 How will the Nylander saga end, or at least what will be the status of the young forward next weekend?